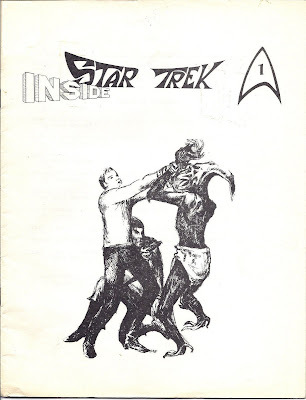 From July, 1968 through mid-1969; while Star Trek: The Original Series was still in production for its third and final season and those last 24 episodes were being filmed and aired - a series of monthly fan magazines were published by editor Ruth Berman for the growing Star Trek fan base. 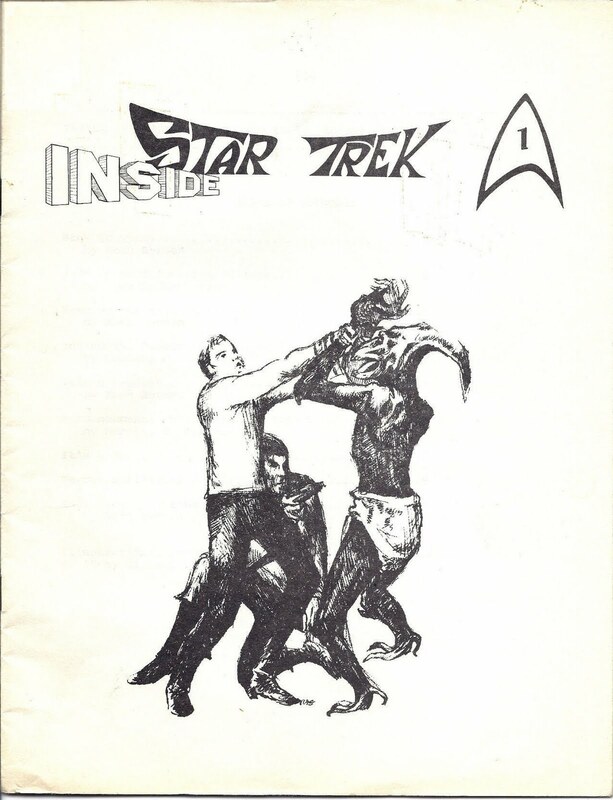 These publications were created with full and unprecedented access to the Desilu Star Trek soundstages and their preparation was often assisted by members of the Star Trek production crew and the actors themselves - who either granted special interviews or prepared written contributions to the fan magazine - entitled "Inside Star Trek". 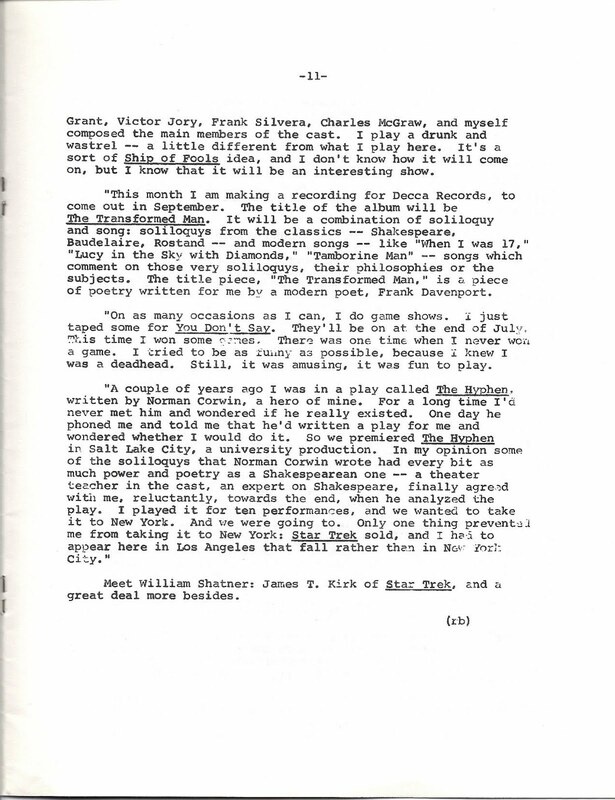 The efforts of Dorothy Catherine "D. C." Fontana; who was originally Gene Roddenberry's secretary and later Story Editor for the show - and who authored such memorable TOS episodes as "Tomorrow is Yesterday", "Friday's Child", "Journey to Babel", "This Side of Paradise", and "The Enterprise Incident" - are particularly noteworthy. 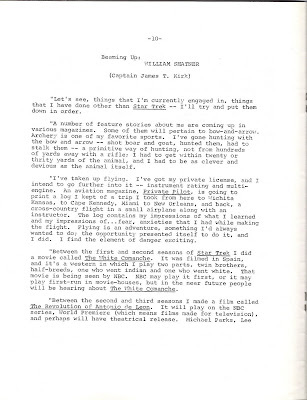 Fontana was a regular contributor to "Inside Star Trek" and her interviews of Set Decorator John Dwyer, Art Director Matt Jefferies, Costume Designer Bill Theiss, and Assistant Director Charles Washburn; as well as Ruth Berman's interviews with Makeup Artist Fred Phillips and actors William Shatner, Leonard Nimoy, DeForest Kelley, James Doohan, and George Takei are fascinating to read and contain outstanding, behind-the-scenes details. 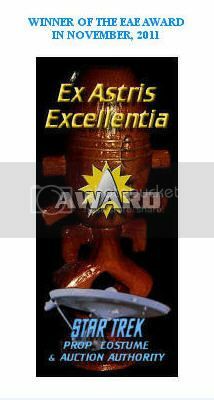 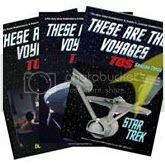 While reviewing some early Trek convention papers, I recently re-discovered my complete set of 12 editions of "Inside Star Trek"; and am pleased to launch a new series of posts on this site that will present some of the best content from this first official fan club and fanzine for the show. 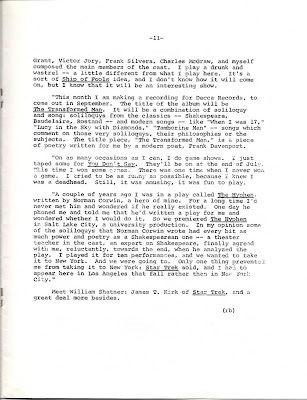 Articles will be reproduced as full page scans of the original pages of the publication; so readers will share - somewhat - the same viewing experience as the original subscribers to the magazine in 1968. 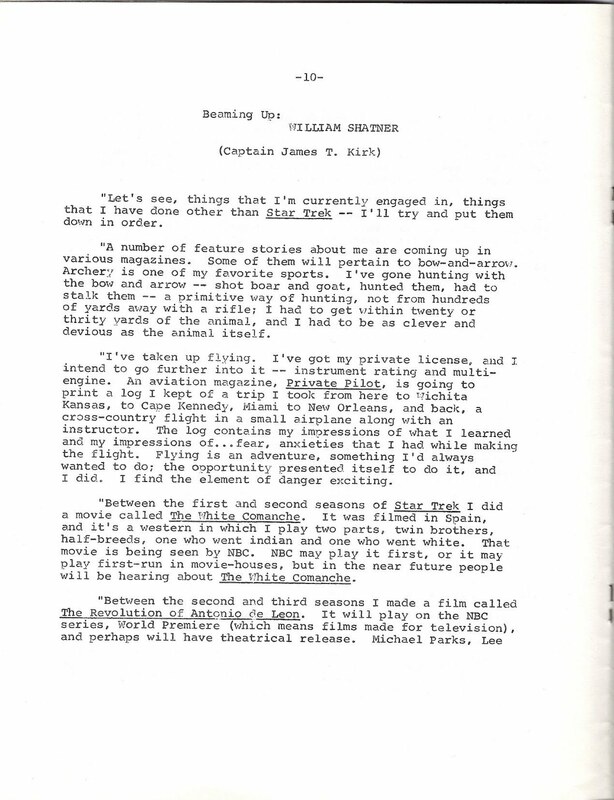 TOS Special Effects: Aging in "The Deadly Years"